Which Type of Crane is Right For Your Job? If you work in the construction industry, chances are you will need to rent or purchase an overhead crane at one point or another. 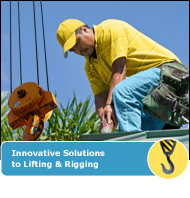 There are actually two main types of crane to consider: mobile cranes and fixed cranes. Each is designed for specific types of tasks, so you’ll need to choose carefully. Here is a short overview. In a nutshell, a fixed crane is designed to remain stationary during the entirety of a job. With its heavyweight base it can lift loads that are much heavier than those handled by a mobile crane and it can also extend much higher. Fixed cranes are instantly recognizable across cityscapes when construction of high rises is underway. Some smaller fixed types may also be set up on rooftops of warehouses where they are used to transport materials from the ground to any floor in the facility. Fixed cranes can be taken apart and reassembled during a job if they need to be moved, but in generally they remain in one place for the duration. Mobile overhead cranes are smaller, lighter, and can move about thanks to rubber wheels and through the use of internal combustion engines, electric motors, and even steam engines in some cases. This type of crane is the all-purpose workhorse of just about any construction site and it can serve a multitude of functions. It is commonly found on loading docks where it can move from site to site, and it is used to lift and move boards and moderately-heavy items in a variety of different construction and warehousing contexts. Its main limitations are its load capabilities and height restrictions. All of these useful machines require meticulous daily safety checks and periodic replacement of overhead crane parts to maximize productivity and prevent accidents. ProservAnchor Crane Group (http://www.proservanchor.com/) designs, builds, installs and services custom overhead crane systems for a variety of critical industries.